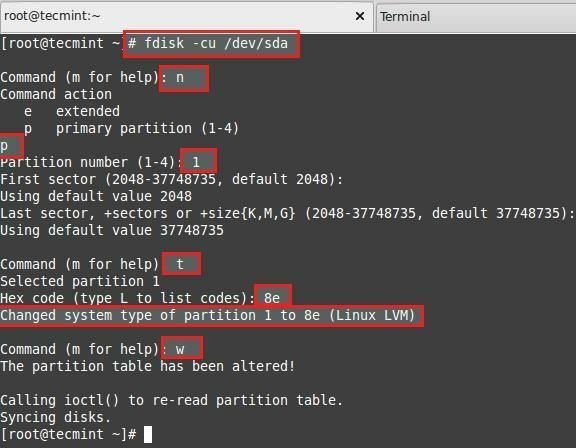 You are here: Home » Linux » lvreduce and lvextent a Linux partition, a quick “howto”! Scenario : Yeah Disk space issues!! 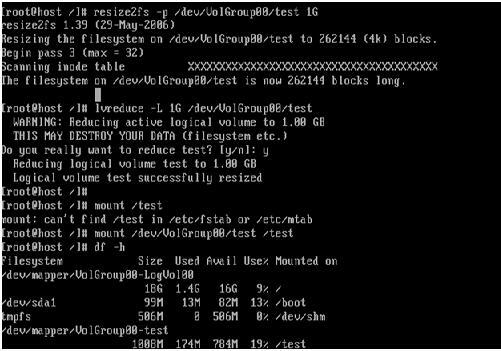 /var and /var/log are seperate partitions and /var/log is getting filled-up with the current logrotation settings which we dont want to change. /var is allocated with 50G and has got lot of free space left in it. So we decided to go-ahead with the decision to re-size the partitions and thereby providing more disk space to /var/log partition. Execute the command lvdisplay to list the sizes of all logical volumes. Unmount /var partition before lvreduce. Make sure /var of not being used by any process. Both the commands should not give us any output. If displayed then Stop or Kill all associated programs/processes that are accessing /var . will list all the PID’s accessing /var. Just to be one the safer side execute the below commands again. To expand an LVM, there is no need to have it unmounted. lvdisplay and df -h should show the updated disk spaces.